I do have a thing for Polar bears. They look so furry and white...like the bear pulling the sled below. 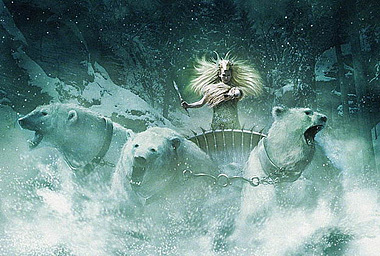 But if I'm going to ride in a sled pulled by bears, I want it to look impressive, like the bears pulling the White Witch's sled in Narnia. That's more like it...bears with teeth! But the harness looks like the bears can slip it off over their heads... almost as scary as that woman's hair. Cool ride...and I also mean Brrrr! Oh yes. 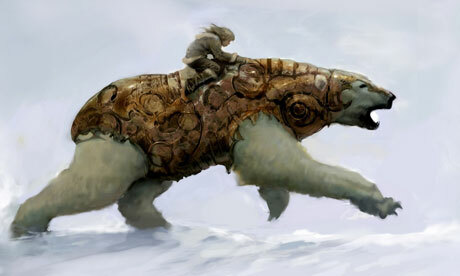 Bears with no harnesses 'pulling' a medieval...snowmobile? I guess if the bears get too fractious, the armored guy can just fire up the engine and take off without them! 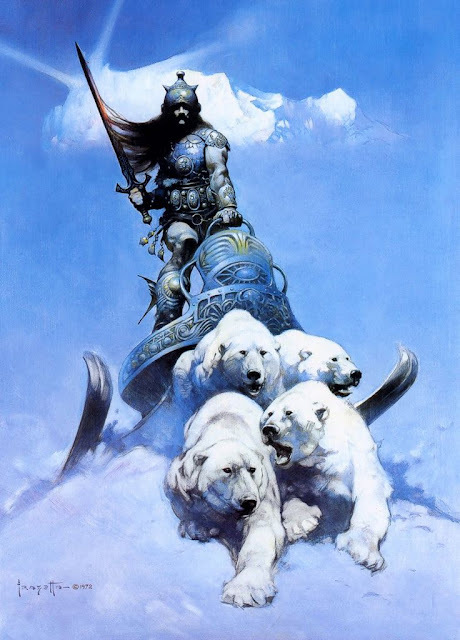 Seriously though, Polar bears can't be tamed enough to pull a sled; they're much too unpredictable. And around dogs...well, watch out. Normally. But in one single spot on earth....normal is different. 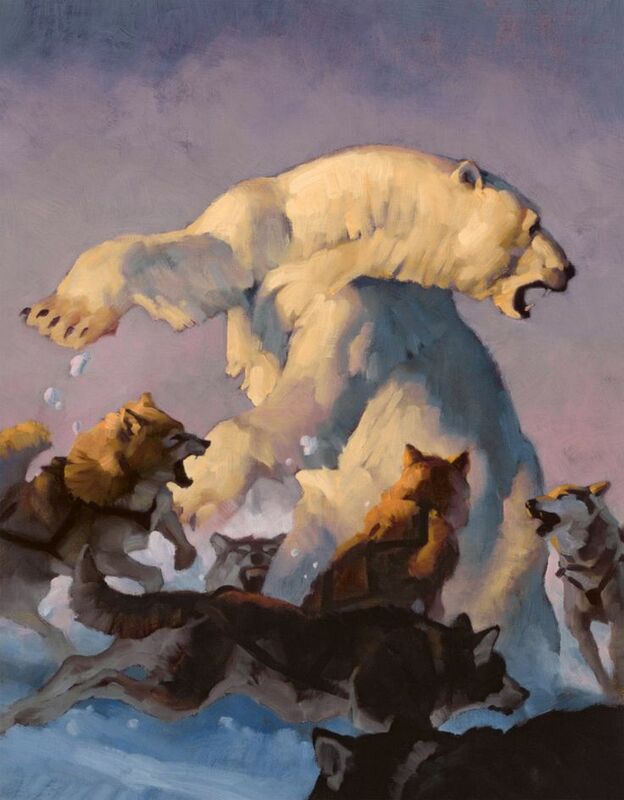 Check out the first photo on this page, and the following video, of wild Polar bears actually playing with sled dogs...it's amazing! So, do you have a thing for Polar bears too? Awseome article, I am a big believer in placing comments on weblogs to help the blog writers know that they have added something of great benefit to the world wide web! If you are in search of writing related help then visit this write my Essays, you can get better help from here.